Chop rosemary fine and put in a bowl along with the lemon zest. 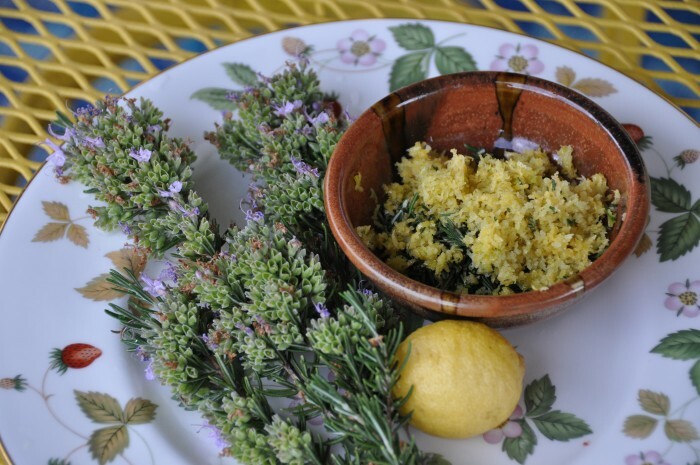 Combine with 1/4th to ½ cup olive oil, fennel seeds, salt and pepper. Set aside. Chop fennel bulb coarsely, set aside. Spray the bottom of a roasting pan with oil and add the chopped fennel bulb. Remove giblets from the chicken and set aside for use in the gravy later. 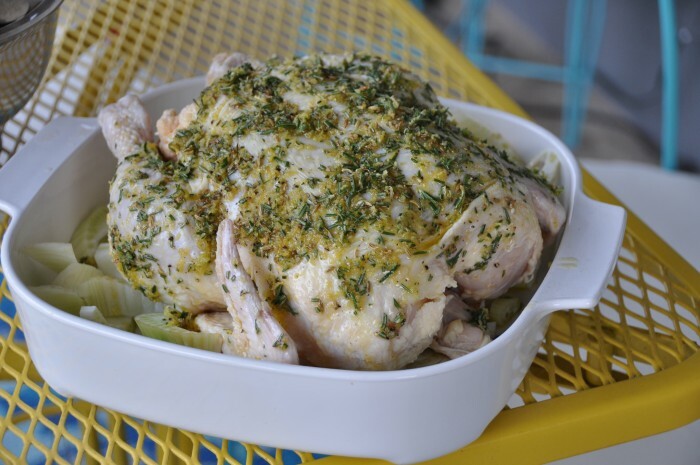 Place whole raw chicken in roasting pan, breast side up, with the fennel and coat with herb and oil mixture. Bake at 450 for 15 minutes, then lower temperature to 350 for 30 minutes (or until the internal temperature of the bird reaches 160). Watch the breast to make sure it’s not getting too brown – you may need to cover it with aluminum foil once it’s nicely browned to prevent over-cooking. Once done, remove bird from roasting pan and place on a large serving tray, surrounded by the fennel. RESERVE JUICES for a delicious gravy and save the bones for preparing homemade stock!